I'm confident that the administration in the United States, Europe and Germany looks at globalization as a two-way street. Germany is a country that surprised the world by its openness since 1998. The German government made clear they will continue to reduce the stake. 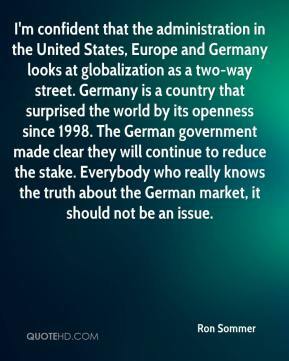 Everybody who really knows the truth about the German market, it should not be an issue. 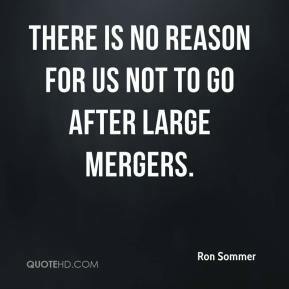 There is no reason for us not to go after large mergers. 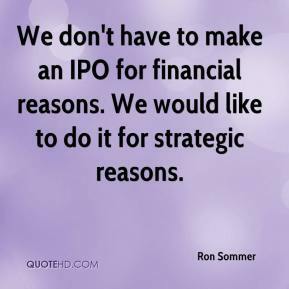 We don't have to make an IPO for financial reasons. We would like to do it for strategic reasons. 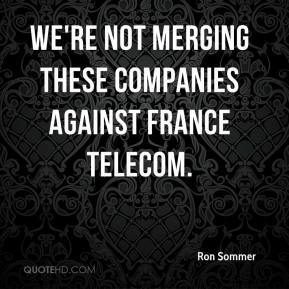 We're not merging these companies against France Telecom.